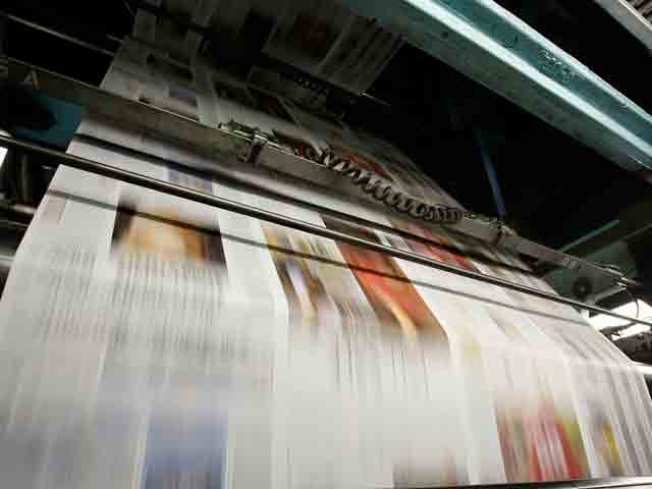 Digital Pre-Press International owner, worker were charged with involuntary manslaughter. The owner and manager of a San Francisco printing company were ordered to stand trial Tuesday on charges in connection with the death of a pregnant worker who was crushed by a machine on the job in 2008, prosecutors said. Digital Pre-Press International owner and CEO Sanjay Sakhuja, 53, and pressroom manager Alick Yeung, 51, were each charged last year with involuntary manslaughter and violation of state workplace safety laws in connection with the Jan. 29, 2008, death of Margarita Mojica. Mojica, 26, of Oakland, was crushed by a creasing and cutting machine that suddenly activated as she reached into it to set up a job, prosecutors said. In October 2010, the San Francisco District Attorney's Office charged Sakhuja and Yeung, as well as the company. All defendants pleaded not guilty. Prosecutors allege that workers at the company were not trained on safety procedures, including the turning off of a machine's power before reaching into the equipment. The machine that crushed Mojica also lacked safety devices required by law, prosecutors said. The California Division of Occupational Safety and Health had previously cited the company for various safety violations in 1999 and 2001, as well as after Mojica's death. After three weeks of testimony at the preliminary hearing in the case, San Francisco Superior Court Judge Newton Lam ruled Tuesday that there was sufficient evidence to order the men and company to stand trial on the charges. "Employers bear the responsibility for providing safe and healthy conditions for their workers," District Attorney George Gascon said in a statement. "By its ruling, the court found that there was sufficient evidence supporting the charges that the defendants violated worker safety laws and thereby caused the unfortunate death," Gascon said. Sakhuja and Yeung are out of custody on bail and are scheduled to return to court on Jan. 19 for formal arraignment on the charges, which could lead to up to four years in prison, as well as fines of up to $1.5 million for the company.